The Redragon Memeanlion Chroma Gaming mouse is designed for Gamers who demand the very best performance. The mouse offers a ambidextrous ergonomic form factor for complete comfort, but where it really shines is with its new look and feel design. The first Chroma design Redragon mouse, it boasts a sleek and stealthy design with full RGB stripes and badge, giving you the best in customization and hardware. Ideal for FPS gaming, the Redragon M710 features a 5000 DPI optical gaming sensor with advanced tracking and high-speed motion detection for precise control. Offering on-the-fly DPI and profile switching so you always make the right moves in any game situation. 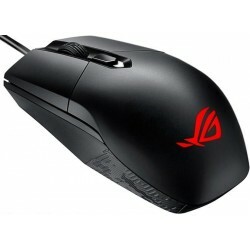 A Great entry level gaming mouse!